On the final day of the 2016 season, GWR 4500 class no. 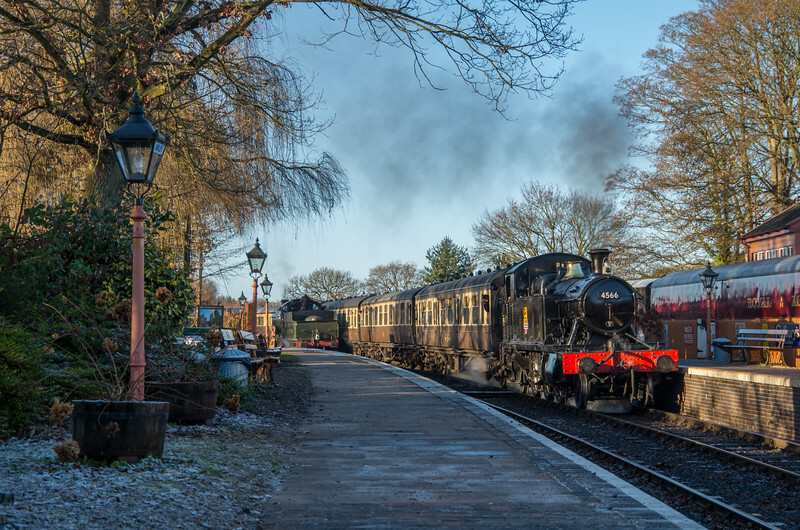 4566 is seen arriving into Arley station on the Severn Valley Railway. This would be the penultimate service the train operated prior to withdrawal for overhaul, with the locomotives boiler ticket expiry meaning the locomotive was to be taken out of service at the end of the day.